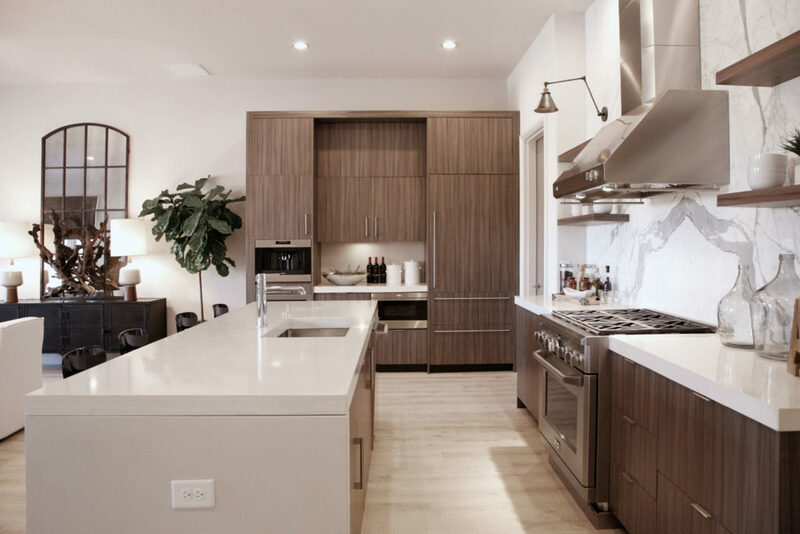 White quartz countertops are the perfect way to improve the functionality of your modern kitchen! Getting white quartz in your home offers a lot of benefits that make it a wise long term investment. Most people are not aware of the many different engineered stone options that are available out there. This is the reason why homeowners, contractors, and builders will turn to granite or marble. 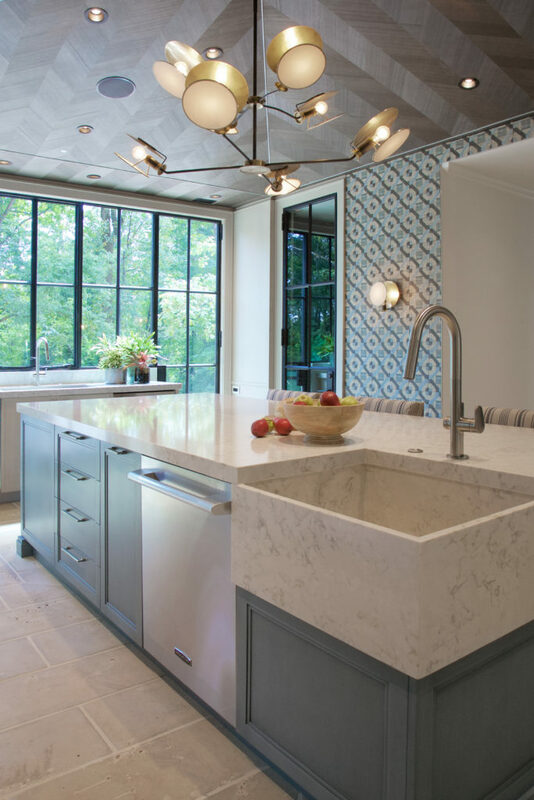 Quartz may be one of the top kitchen countertop materials in the whole industry but it is also one that does not get enough credit. 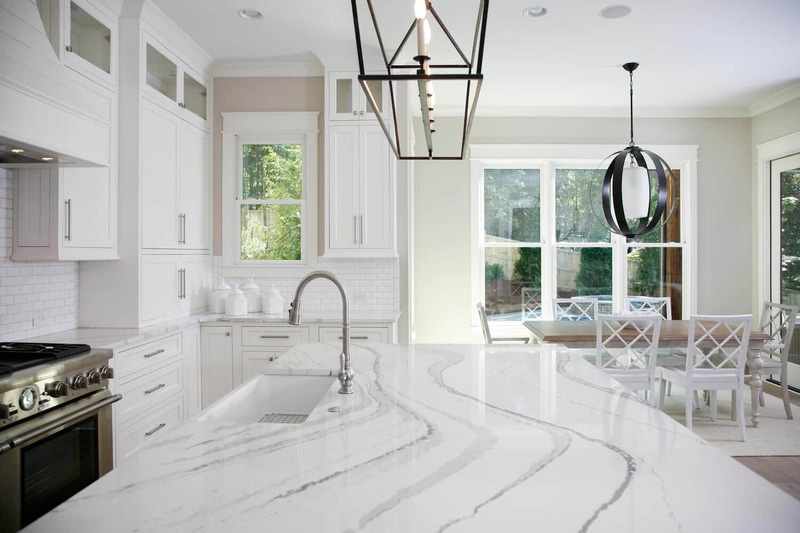 Below we will list the many reasons why white quartz is a phenomenal countertop material for your kitchen. 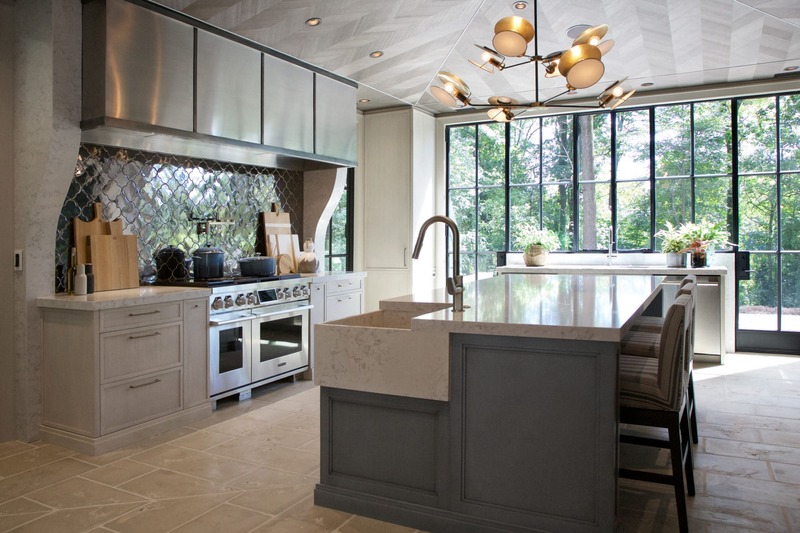 You will also see unique kitchen designs that will give you a bit of inspiration for your kitchen remodeling project! White quartz countertops are one of the most durable kitchen tops in the game! It has a surprising amount of strength that goes well in busy kitchens! You can count on getting a countertop material that will stand strong against daily use. No matter what your lifestyle may be, with quartz, you will be getting everything you could ask for and more. The impressionable strength of this countertop is synonymous to that of concrete and granite. Quartz stone is, however, a little more forgiving. In fact, quartz is so strong that it will not crack or even chip that easily. 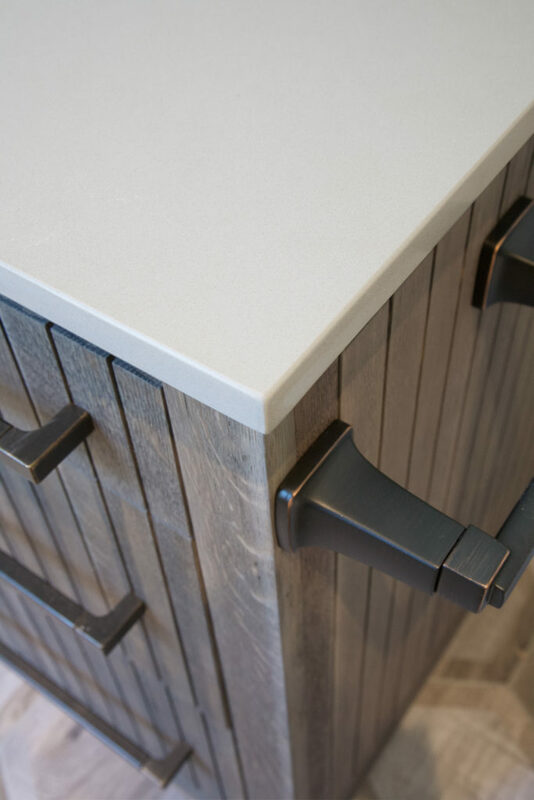 It is truly an outstanding countertop option for any home! 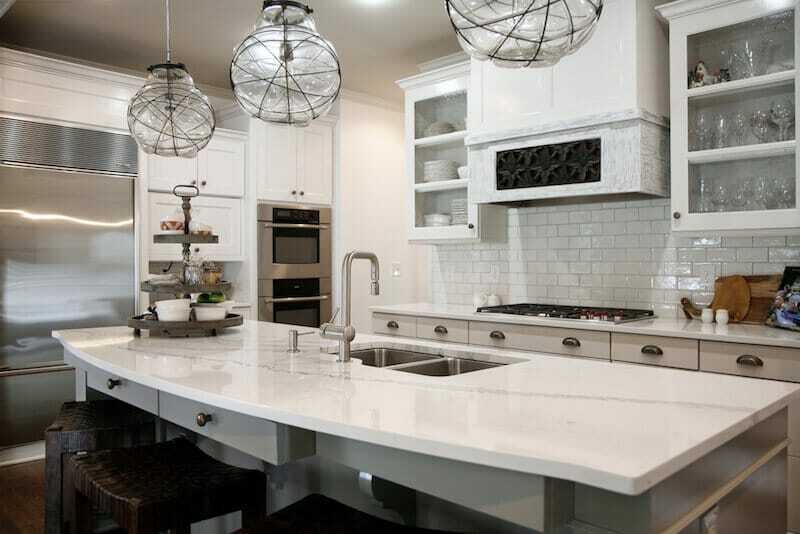 You will be surprised to learn that white quartz countertops do not just come in a solid color. In all actuality, there is a large assortment of white quartz options that you can pick from. You can count on us to provide you with a selection that includes all of the best colors, patterns, and styles for your unique kitchen design. 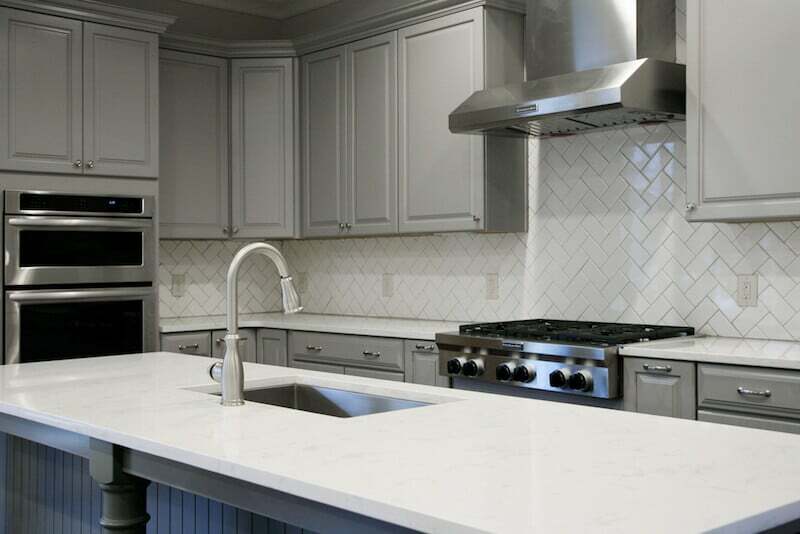 If you feel like white quartz countertops are not the best fit for you, then you can check out the many other color options that we have in our showroom. You will never have to settle. Another huge advantage of white quartz countertops is the fact that they are nonporous. Nonporous stones are great at resisting stains from liquid spills. You will not have to run and wipe off your countertops as soon as the accident happens. You can finish cooking your meal just do not forget to clean up the countertops after the fact. If you leave the spills on your counters, they may get damaged. Quartz is a stain resistant countertop but it is not proof of stains.